This picture shows the great expanse of open water that these humpback whales live in. 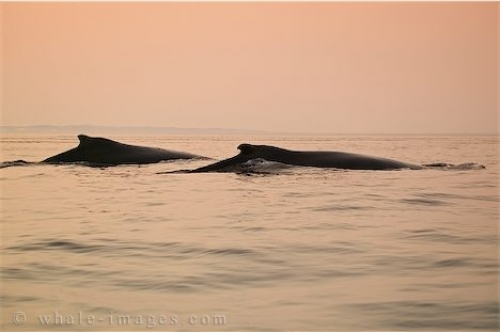 I shot these two humpback whales cruising through the open water of the Atlantic Ocean side by side. It is unique to see these massive creatures traveling so close together when you consider their sheer size and bulk of around 50 feet and 30-50 tons.